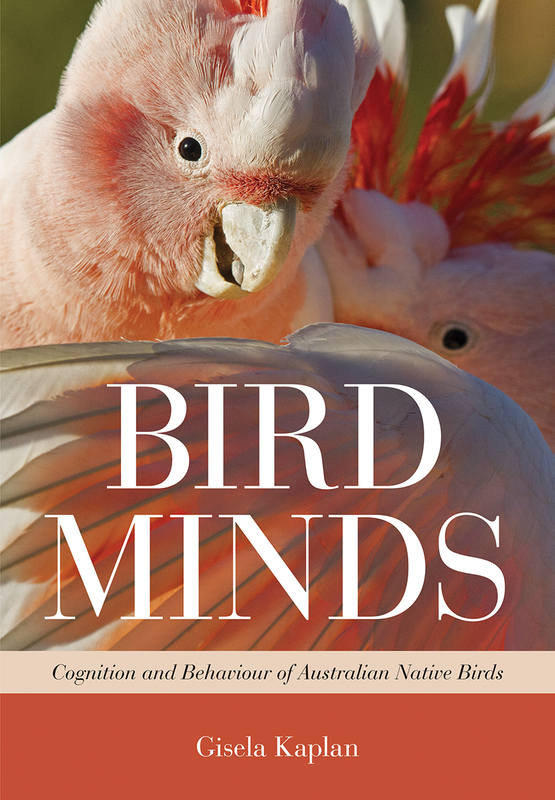 A new book by a University of New England academic and internationally renowned avian author, Professor Gisela Kaplan, reveals Australian birds are both cognitively and emotionally more intelligent and complex than previously thought. In the first definitive work to be published on Australian birds since 1975, Prof Kaplan reveals birds are capable of intricate cognitive thought, may possess impressive spatial memory, show problem-solving behaviour even by insight, are highly resourceful, have the ability to learn, play and show other behaviours not normally associated with birds. White-wing choughs can prise open mussels by using shells or fragments of shells as tools to insert between the lips of the mussels. Birds may travel far to find food sources. They will also remember the locations. Long-lasting spatial memory of scarce resources was previously described in elephants and orang-utans and is thought to require complex cognition. Torresian crows and currawongs have learned to feed unharmed on cane toads despite their poison glands by flipping them over onto their belly and avoiding the poison glands on their backs. Juvenile Australian magpies exhibit play behaviour equivalent to that observed in human children aged three to five years, such as hide-and-seek. “Play was observed in many Australian bird species and research shows that birds that play socially have larger brains and live longer,” Prof Kaplan said. Palm cockatoos use and even manufacture tools, black-breasted buzzards pick up rocks and drop them onto hard-shelled emu eggs to crack them open while black kites even move glowing twigs in fire events to start a new fire so they can collect charcoaled food. Prof Kaplan specialises in vocal and cognitive behaviour in animals and is a prolific writer with over 250 research articles and 20 previous books, including the very well-known Australian Magpie and Tawny Frogmouth. Bird Minds: Cognition and Behaviour of Australian Native Birds is published by CSIRO Publishing. Professor Gisela Kaplan is available for interview on 0428 575 619 or 02 6651 6629.